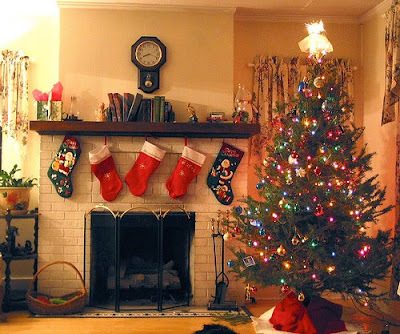 Christmas trees become a significant part of your yuletide celebration that oftentimes, after the season, putting it away together with the other decorations, leaves a certain sadness in your heart. You wish you could hold on to the joyful Christmas moments forever, by holding on to the tangible symbols that you have placed around you. Just like any mundane thing however, everything comes to pass and so does your Christmas tree’s role for the season. Trim the tree and cut the twigs, branches and trunk into 1 foot pieces and dry under the sun. After they have thoroughly dried, store them in a dry clean place. You could use them now as firewood for your camping trips, for backyard barbecues, in your fireplace or in your bonfires. You would be surprised at how it catches up fire so easily. In fact in most countries, they are widely used to start fires and not as plain firewood. This is because they are very combustible and easy to ignite. You could convert them into small food trays for your kitchen. Select the good branches and smooth them with sand paper. Construct a tray by making use of a hammer and some nails. You don’t need to be a carpenter to be able to do this. Just be sure that you have equal sides by measuring with a ruler. tray to add style. Spray with varnish to give a polished touch. Presto! You have your own kitchen tray! Cut the branches into sizes big enough for your plants. Use them as trellis by arranging 3-4 branches around the plant. You could also utilize them also as garden rails by cutting them into equal sizes. You could paint them to give more visual attraction to your garden. Use your creative mind to devise attractive wall decors. Rub the branches and twigs first with sand paper until they are smooth. With the use of a hammer and some nails, construct designs like picture frames, miniature toys, houses or whatever your creative mind leads you. Finish your work by spraying with varnish to give shine or you could paint them to add attractive color. The tiny branches could be used as foot bridges in your garden by arranging them tightly together to form a sturdy bundle. Place them in uneven or soft spots in your garden to prevent mud formation. They would lend uniqueness to the landscape. The leaves could be placed in a damp portion of the soil or buried, to form a composite fertilizer for your other plants. Allow the leaves to rot and then be converted into rich soil before using it with your plant cultivation. There are still several ways to utilize your used Christmas tree. Look around your house and backyard. What do you need? Could the tree be converted to supply that need? For sure, you would find it to be useful in one way or another; but for the meantime, bask in the beauty of your Christmas tree!